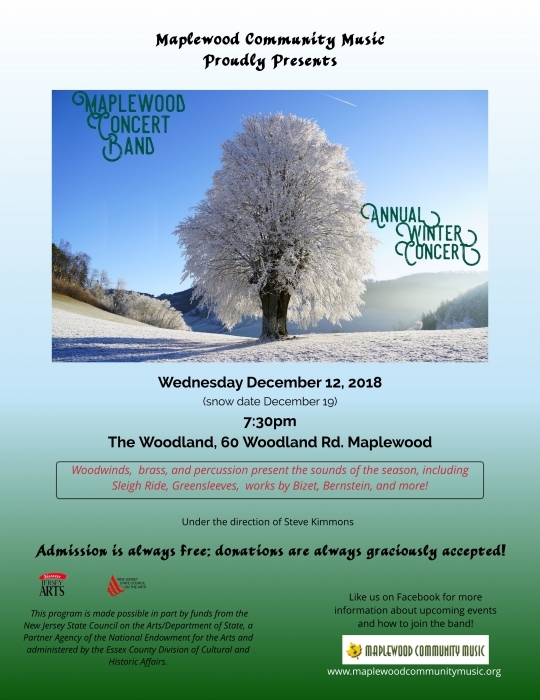 Maplewood’s very own Concert Band is proud to present its woodwind, brass, and percussion sounds of the winter season under the direction of Steve Kimmons at The Woodland in Maplewood. Selections include Sleigh Ride, Greensleeves, and additional works by Bizet, Bernstein, and more! Admission is always free, donations are always graciously accepted.